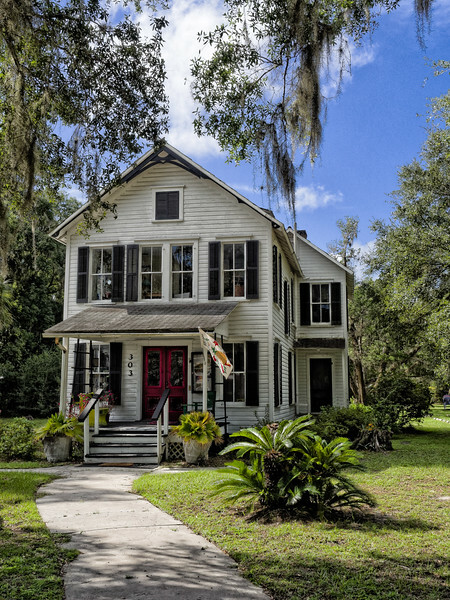 Mossman House, Melrose, Florida. This two-story frame house was built in 1881 by Willaim Lee for Mary M. Mossman, a religious leader from Ocean Grove, New Jersey. It was called "Faith House."